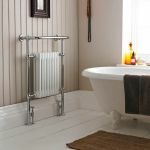 If you’re looking for a traditional style radiator with contemporary performance then consider one of the models below from Premier, Ultra, Hudson Reed or Phoenix. 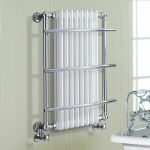 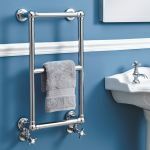 They have old fashioned vintage style but are superbly engineered to warm your bathroom efficiently and dry your towels. 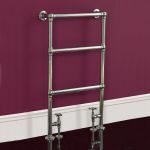 Many of the designs available will compliment a period feel bathroom with a look of elegance and craftsmanship. 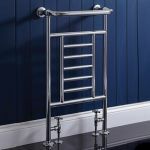 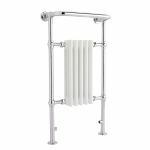 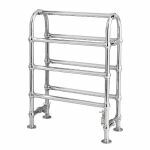 They feature ball jointed tubing designs so there are no sharp corners and white radiator accents that look great against the polished chrome. 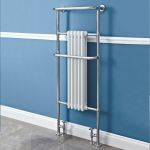 You can make a real statement by positioning a floor standing radiator directly at the end of your bath.